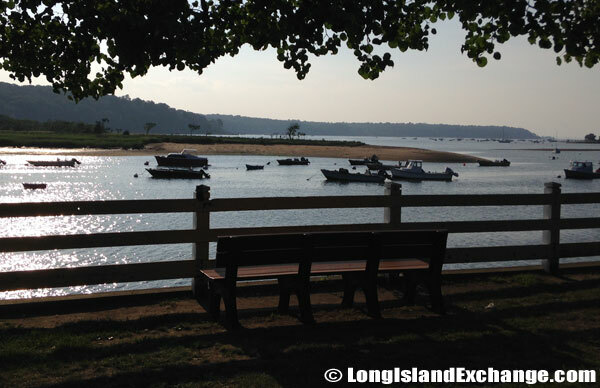 Cold Spring Harbor State Park is located in Cold Spring Harbor on the North Shore of Long Island. Directions: From Nassau County (West): Northern State Parkway or LIE (495) east to the Seafood Oysterbay Expressway (135) north to Jericho Turnpike east. Take Jericho Tpke to Woodbury Road, make left (north). At Route 108 make left and follow to end Lawrence Hill Road. At end make left and immediate right onto Route 25A (east). Follow one half-mile to parking field and trail-head on right. From eastern Suffolk County: Northern State Parkway or LIE (495) west to Route 110 north. Take Route 110 to Route 25A, make left (west). Follow 25A into the village of Cold Spring Harbor to the parking field on left. 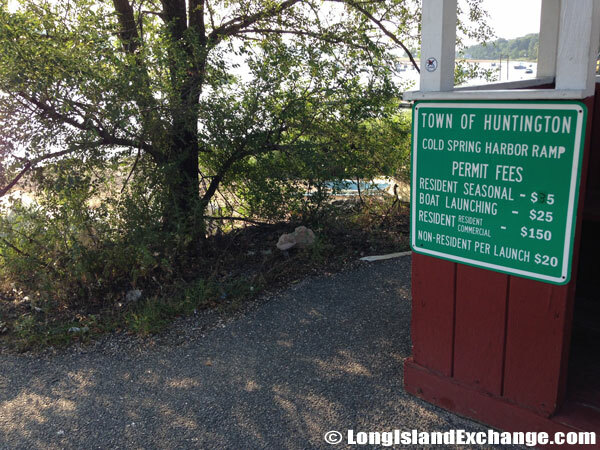 A sign welcomes visitors to Cold Spring Harbor State Park, on the North Shore of Long Island. 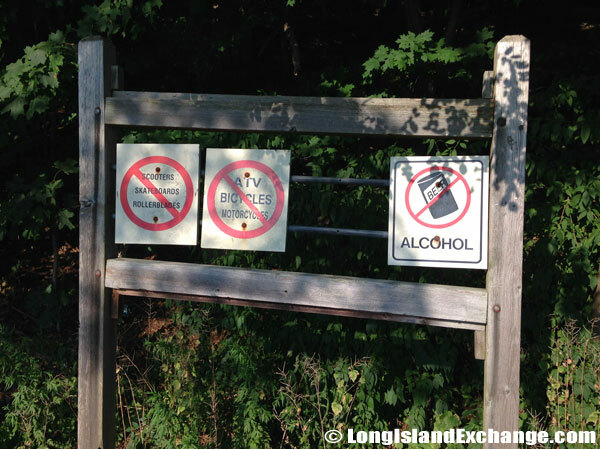 There are no scooters, skateboards or roller blades permitted as well as ATVs, bicycles, motorcycles or alcohol. 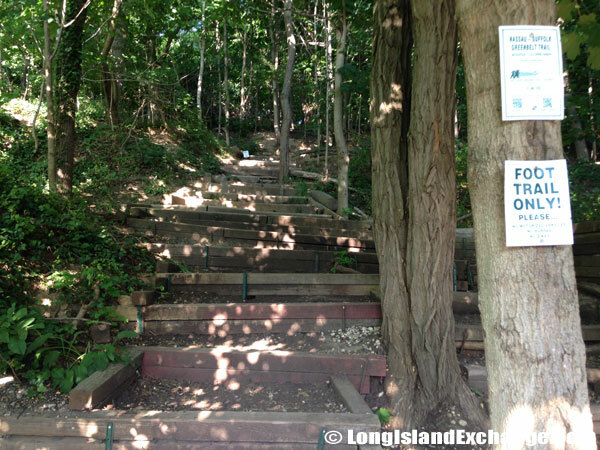 A foot trail leads up into the trails at Cold Spring State Park. A board displays notices at the park entrance. Overview: Everyone can enjoy the 40 acres of the Cold Spring Harbor State Park as you humans call it, does nicely for us jet-set type songbirds with residences both near the Arctic and South America. The park features a mixed hardwood forest with notable large oak specimens that measure three feet in diameter, as well as thickets of wild mountain laurel. It is ideal for observing spring and fall migrations of a variety of songbirds, and is home to great horned owls and red-tailed hawks. The flight path in to the Park also suits us just fine, for even rookie fliers in our ranks can spot the Cold Spring Harbor from our standard trans-continental altitude. Cold Spring Harbor State Park serves as the northern trail-head of the Nassau Suffolk Greenbelt Trail that extends to Bethpage State Park and eventually the south shore of Nassau County. Looking out onto Cold Spring Harbor. The boat ramp has use and permit fees. 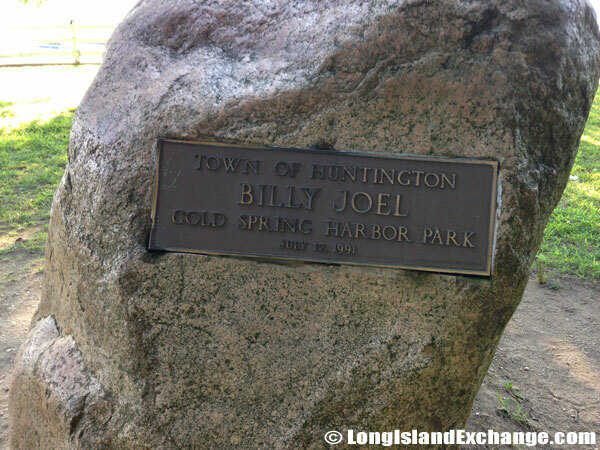 Billy Joel Park across the street from the Greenbelt Trail, which starts in the Cold Spring Harbor State Park. 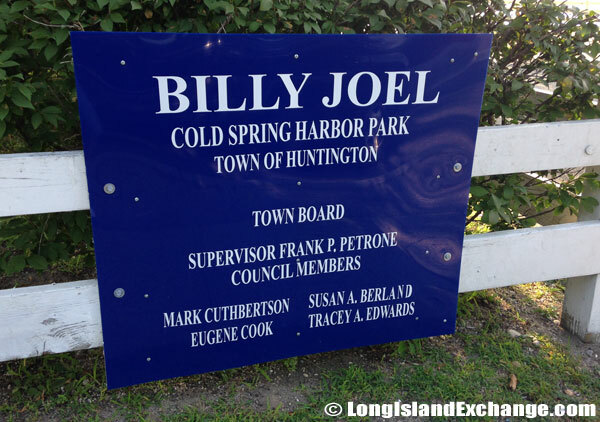 Cold Spring Harbor was the name of Billy Joel’s first album. The food courts of the Cold Spring Harbor State Park are a culinary delight. The vegetarian menus are thoughtful. Most of their young have never seen nuts of the shapes and colors in the cold and barren ex-Soviet stretches that they find in their country and the less spiritual and health inclined of the communities love the fresh catch that crawls around every morning, US Eastern Time. 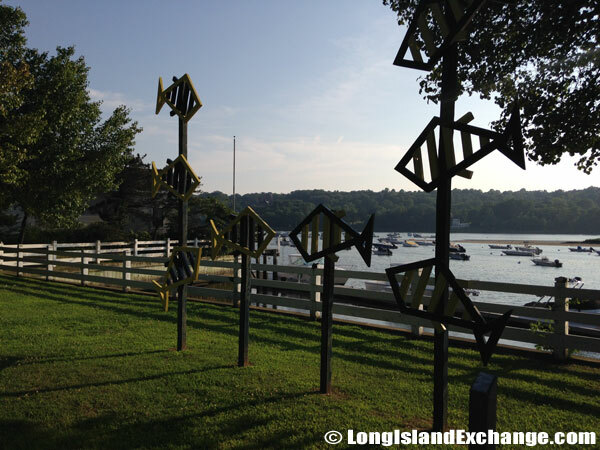 Fishery designs in wood remind visitors that Cold Spring Harbor Fish Hatchery and Aquarium is nearby and teaches visitors about the freshwater ecosystems of New York. 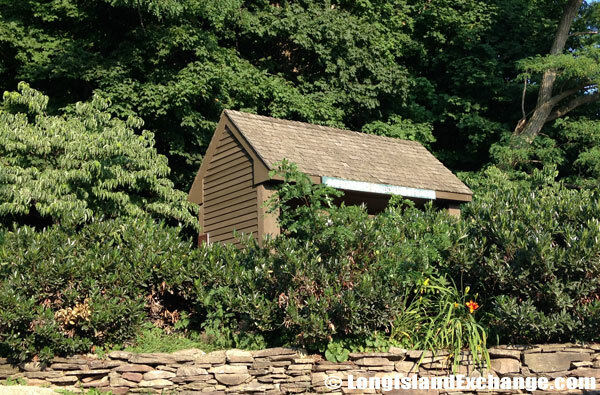 A park bench for resting while taking in the breathtaking views of the Cold Spring Harbor. 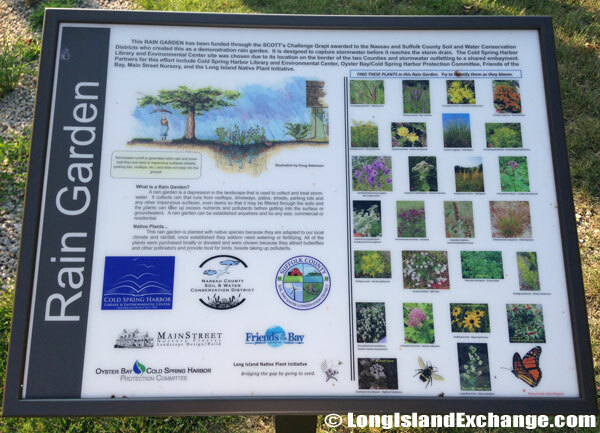 The Cold Spring Harbor Library rain garden. 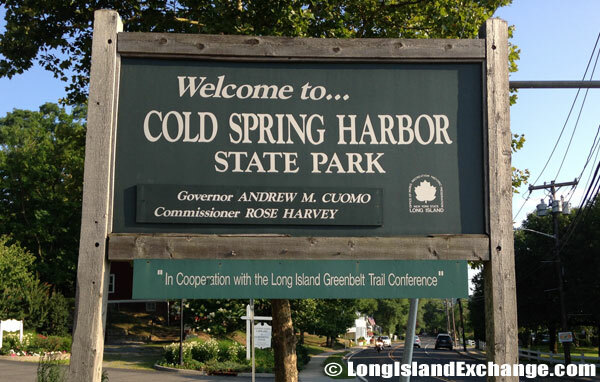 Facilities: Cold Spring Harbor State Park is within the historic village of Cold Spring Harbor with the parking field on Main Street in close proximity to the village’s shops, restaurants, and waterfront. Park and parking field; restrooms for trail users are accessible from the outside of the library during building hours. 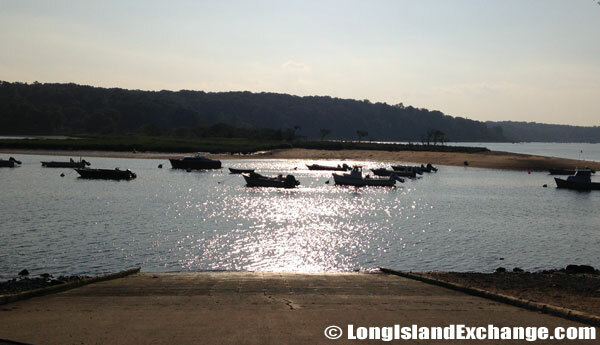 Events: Long Island Kayak Club: Guided kayak tour for all levels; no experience necessary, and Singles Kayak Tour: Beginners and non-members welcome, no experience necessary (dates not set).